The boy's behaviour...: Meet the team! Well this blog is supposed to be recording our journey to find help for Mini, and ourselves. So here’s what’s been happening, and here's 'our team'. We now have 3 sets of professionals involved – CAMHS, Post Adoption Support (PAS) and a Parent Supporter. CAMHS are running the course that I’m attending weekly. And in addition, I have a therapist (for want of a better word), who calls, emails and visits me. The course is great, and even if I take nothing practical away from it, I have met others in the same situation as us. I have met some lovely bloggers and tweeters who are in similar situations (in fact they keep me sane), but meeting real-life people, who live nearby is something else. 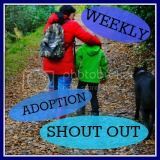 I’ve already arranged to go to a local monthly adopters group with one of the other course attenders, and hope that we can get going to a second too. I believe the hope is that a support group will be set up after the course. But of course, I will take practical things away from the course too, as it looks at the ‘whys’ of all the behaviour we experience. I’ve already changed my approach, and I feel more in control of me – not necessarily the situations that arise, but more in control of the way I handle things. Gradually I’m becoming less shouty! The therapist is there to support us. I tell her what’s been going on, she considers why, and makes suggestions on how to handle certain situations. PAS. Back in April, we had a meeting with a PAS social worker. This was set up after the NC emailed PAS asking for help. We spent some time detailing our life basically – what happens, when, how we feel etc., and we’ve recently received a report back. The report was supposed to be pretty much a transcription of what was said, with a conclusion by the social worker, and then a plan of action. In fact, it’s littered with mistakes and needs re-writing in part. Because it’s taken so long to be written, of course things have changed and moved on (as they do weekly), so shortly I will re-write the sections that are incorrect and email the PAS social worker to get it changed and re-sent out. When it’s correct we’ll sign it, and so until then, there’s more delays to actually get any practical help. Part of the plan is to ensure that the NC and I are supported. In order to establish what kind of support we might need, we’ve had to fill in a Parenting Stress Index survey/test. This is an established questionnaire of 120 questions which assess parental function (and dysfunction), and helps pinpoint sources of stress within the family. We await the results. We’re still awaiting a date for the videoed session which uses the Marschak Interaction Method, which will observe and assess us and our needs. The Parent Supporter. Now this lady is really lovely. This is the one thing that the school nurse managed to pull off for us. It’s arranged through the school, and we couldn’t have got it without the agreement of the head. Luckily, she agreed and along came my saviour! The parent supporter looks out for ME. Obviously her interest ultimately is in Mini, but she’s the one who is attempting to get me to toddler group with Dollop (in an attempt to keep me from becoming isolated). Diaries are clashing, but we are going in a couple of weeks to a group which I’m pretty certain Dollop will love. She’s also managed to arrange with school for Mini to have at least one of his best friends in his new Year 1 class. The head teacher is keen to make the transition smooth for Mini and so I can let her know who I think he’d like to stay with. She’s given me details of a football training session that takes place at our local Championship football club in the summer holiday, and will arrange for funding for it too. Mini’s not really one for football, but I think he’d like this anyway. And he’ll love the sense of achievement when he finishes and gets a little trophy! And it’ll give me a break which was her main motivation! It feels like she is on my side, and she will help me fight for what we need. In addition to those 3 people/services who are supporting us, we’re also still under the hospital. And we’re going back at the end of June to chat with the Paediatric Neurologist following Mini’s brain scan in March. They’ve brought the appointment forward 3 weeks which panics me slightly, as they usually only bring appointments forward if they’ve found something significant. I’d like to think however, that if it was *that* significant it would have been brought forward even more. So that’s where we are. On a day to day basis, things are… more manageable. But life is still hard work. Mini is still anxious and worried about all sorts of things. Mini still behaves inappropriately, and at times his behaviour is truly appalling. We’re now in half term which means a routine change, and I know that he needs a high structured routine to function. So as usual, I’ve planned pretty much most days, and have planned both activities and quiet time. It sounds as though you are starting to build a really strong support network. It's the only way to cope with what is a really challenging job. It is great to have contact with you and our other buddies on twitter. And keep blogging! Another well written post. Great to hear you are starting to feel that you are getting supported, at last. Fingers crossed for an uneventful bank holiday for you all. Mini isn't involved at all with anyone I'm seeing. He met my parent supporter once, but thought she was just here to talk about toddler groups for Dollop, so it was fine. He's never met anyone else, and although I do think it would be useful for CAMHS to meet him, they're keen to keep it as is until he's finished with hospital appointments so as he doesn't get anxious at the amount of professionals involved. Mini knows I'm on a mummy's course - all he knows is that it's so I can make some mummy friends. So at the moment, it's all about support and ideas for me, and the NC to a smaller degree. I'm finding the parent supporter especially helpful. And I know she'll support me if I disagree with PAS or CAMHS. She's happy to help me fight them if I need to.